is associate professor of anthropology at New York University. Over time, perhaps as primates came to occupy more diurnal niches with lots of light to see, we somehow evolved to be less reliant on smell and more reliant on vision. We lost our wet noses and snouts, our eyes moved to the front of our faces, and closer together, which improved our ability to judge distances (developing improved stereoscopy, or binocular vision). 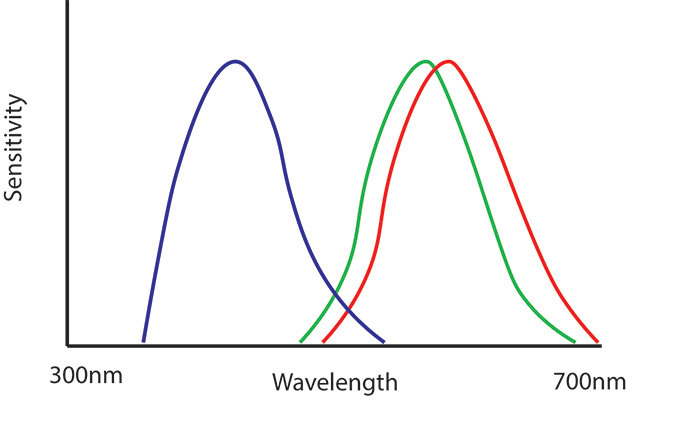 In addition, Old World monkeys and apes (called catarrhines) evolved trichromacy: red-, green- and blue-colour vision. 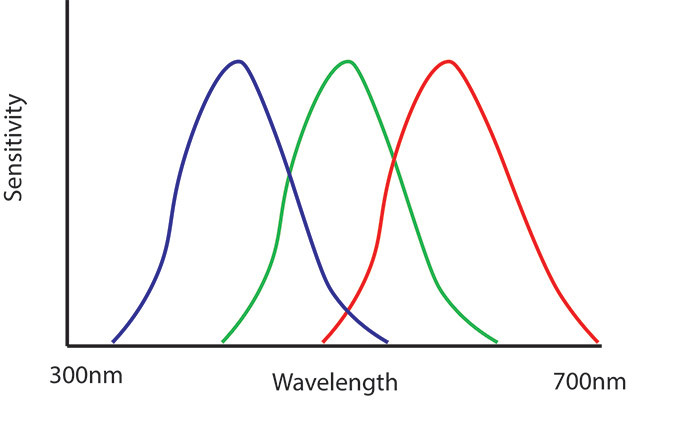 Most other mammals have two different types of colour photoreceptors (cones) in their eyes, but the catarrhine ancestor experienced a gene duplication, which created three different genes for colour vision. 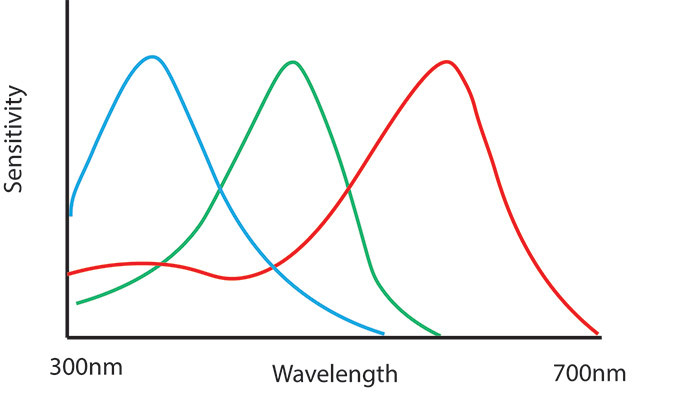 Each of these now codes for a photoreceptor that can detect different wavelengths of light: one at short wavelengths (blue), one at medium wavelengths (green), and one at long wavelengths (red). 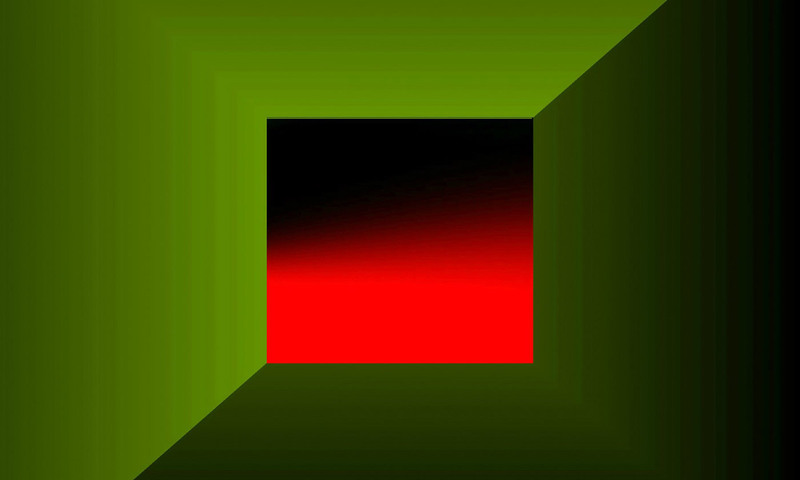 And so the story goes our ancestors evolved forward-facing eyes and trichromatic colour vision – and we’ve never looked back.